Legendary rock star Steve Stevens teaches you how to play "White Wedding" from Billy Idol. Released on Billy Idol in 1982, this song has withstood the test of time. Great arrangement. Great playing. Keep the hair! Lyrics seem to be for the shorter TV-edit of the song. Second verse normally goes: Hey little sister who is it you're with? Hey little sister what's your vice and wish? Hey little sister shotgun (oh yeah)	Hey little sister who's your superman? Hey little sister shotgun! Spaghetti western aficionado here - love me some ennio morricone! 80s had big guitar... Great work Steve! Awesome song! Excellent lesson! You even sound just like the dude in the original recording Ha ha. Thanks for sharing your talent. You Rock! Haha, he is the dude off the album! The above comments say it all. What better way to learn these songs than from the Master himself. On my wishlist is the Anthem from Top Gun (yes, I did admit that). The main melody is easy to figure out but the rest is loaded with guitar tricks and tasteful ideas that I hope Steve will share with the rest of us mortals. What kind of effects are you using? SUch a sweet sound!! Wow!! Awwesome!! HE explains everything!!!!!! I really liked his mention of the whammy bar before I never used mine now I think I might want a guitar with a floating trem since mine is locking now. I was wondering what is the tab for the walk up riff? 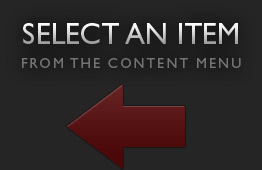 I didn't see it tabbed out. I know it's third fret e string to fourth fret b string then back to third fret g string then he moves quickly to the second fret and then he moves to fast for me to see what's going on. Also anyone know what GPX TABS ARE? F.,k'n superb! I've signed up to jam play purely because i heard of these lessons. I hope the other tracks that will be added will also include a mixture of his solo and Vince Neil stuff as well. I disconnected from Jamplay for the summer. Man! Am I glad I came back to this. There's only one thing better, but it doesn't last as long! A great lesson from the master itself - I love it. And great supplemental content by the way. awesome!!! next time can you take the tape off of the guitar graphic? HOLY CRAP!! Freaking STEVE STEVENS - obviously a great lesson. best part - "Billy comes in early in the morning...at like 9:00" ... yessir - that is Rock 'n' Roll. I could listen to him tell stories for hours. Can't wait for the rest of the stuff on the way. Someone slap me!!! I must be dreaming ... STEVE STEVENS ... this was so brilliant! Keep up the great work JamPlay! Steve, thanks for coming to Jamplay bro! I am really enjoying learning White Wedding and looking forward to many more Billy Idol songs. Dang... brings back memories of hot summers and vodka watermelons. I like this song way cool ! One of my favorite Rock songs, very well explained. I might have to try it....YIKES!!! Since I'm from Europe I'm not too familiar with Billy Idol. Now thanks to JP I'm getting introduced to this song and it has some really AWESOME riffs. Great song and well explained. Thanks Jamplay and Steve! this is most welcome JamPlay! thanks for the great lesson, Steve! hope to see many more form you. I like what thesnowdog wrote I feel young again.I grew up with this music.But my real reason to comment is I can't go on enough on how over the shoulder shots have made me learn in half the time cause my brain (what's left of it) doesn't half to translate the old mirror image.Anyway Great job Steve and great job to JamPlay for those cool shots. This is one of the songs that started the interest it all for me. God, I love those chords! Yes! One of my favorite songs of all times. I'm so stoked to have you here at Jamplay Steve. Thanks for sharing your experience, time and songs with us! Wow the guys at jam play never stop to amaze me. What a treat that was. I hope they talk you into doing more. Steve ended up doing a few lessons on song improvisation and then also teaching 4 Billy Idol songs (all to be posted soon)! AWESOME STEVE!!! I Can't wait to get started!!! YOU ROCK DUDE!!! Freakin awesome!!! you are a Rock Guitar God Steve!!!! Legendary rock star Steve Stevens teaches you how to play "White Wedding" from Billy Idol. Steve Stevens teaches you how to play Billy Idol's hit song "Flesh For Fantasy". 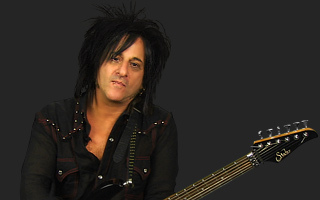 Rock legend Steve Stevens teaches you how to play Billy Idol's "Eyes Without A Face". Steve Stevens teaches the Billy Idol classic "Rebel Yell". Released on Rebel Yell in 1983, this song was named the the 79th best hard rock song of all time by VH1.